Karen Jones Gowen is visiting the Insecure Writer’s Support Group today with tips on how to query a small press. Fortune ran this article last week: Apple Will Ask Supreme Court to Hear its Ebooks Price-Fixing Case. That’s right, Apple is taking this thing all the way to the top. Do you think they have a chance? There are other ebook subscription services out there, such as Bookmate and Amazon Unlimited. But will they succeed? Is it good or bad for authors? This one at Talking New Media was really interesting. 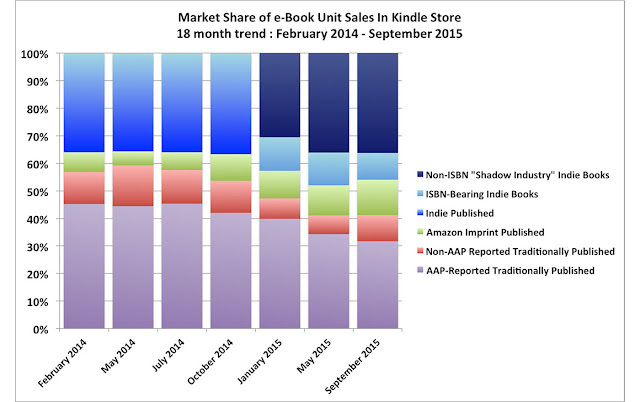 They wrote that the NYTimes cited monthly sales stats from the AAP and claimed ebook sales were declining. But these figures aren’t accurate. 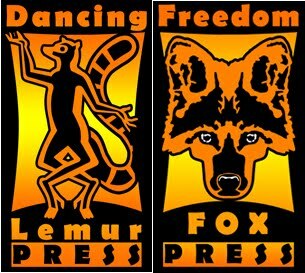 “That difference is especially important because the Big Five are the same five publishers which negotiated agency contracts last fall and spring, giving themselves more control over their ebook prices. According to the WSJ, the new contracts resulted in higher ebook prices and fewer eBooks sold. So, while the bigger publishers are seeing their ebook sales decline, smaller publishers and self-publishers are not because they understand lower, competitive pricing. Think the big boys will ever figure that out? 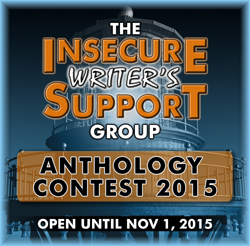 Just a reminder about the IWSG Anthology Contest. It’s open to all IWSG blog and Facebook members and the deadline is November 1st. See the IWSG site for the full scoop. 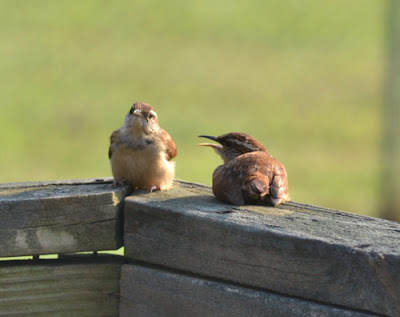 Can anyone identify these birds? Yes, they’re cute. But they and their mom have been snacking on my tomatoes. Not cool. 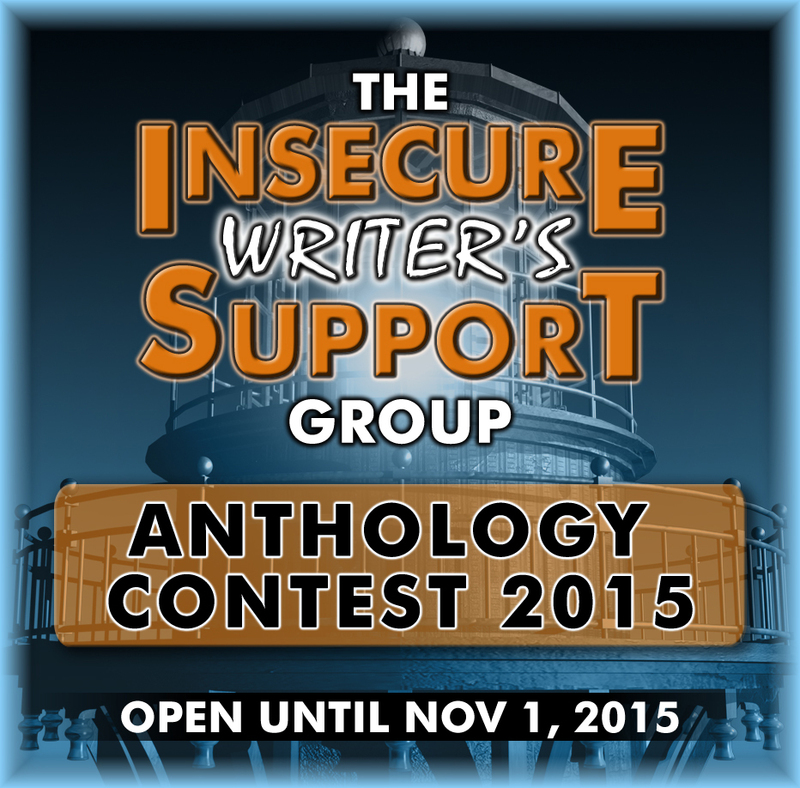 The IWSG Anthology Contest is open until November 1st. Ten winning stories will appear in a royalty-paying anthology next year. November 9 - 13 - games and prizes. A Thunderclap is set up to announce the Faire before it begins. If you can support us through Facebook, Twitter, or Tumblr, please sign up for the Thunderclap. Hosted by MPax. Prizes for the winning knight. Prizes drawn daily for the crowd. Hosted by River Fairchild. Prizes drawn daily. Hero’s beware! Here at the House of Hero’s Dilemma, a new cliff-hanging adventure will dangle new heroes above the depths of destiny or despair. In 100 words or less, a hero will face a danger in story form. Hosted by Untethered Realms. A simple word game. Prizes drawn daily. Each day I will give clues to a famous ghost from literature or movies. I’ll give new clues throughout the day until someone guesses the right ghost. The first one to guess correctly will get a $5 Amazon gift card and a bundle of ebooks. The only rule is that the same person can’t win the daily game more than once. Every book offered as a prizes will be hidden behind a doorway. Under each door will be the blurb for the hidden book. Each correct answer will be put in the drawing for the book given as a prize. random.org will be used to pick the winners. Hosted by Realms Faire. Prize packages up for raffle. 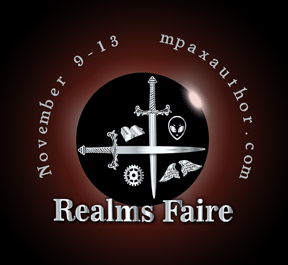 Are you participating in the Realms Faire? After blogging for 10 & 1/2 years, I’ve seen my share of trolls, flaming, and bloggers behaving badly. I’ve also witnessed leeches - people who attach themselves to you for selfish reasons. They can even come off a super nice, but they’re still out to get something for themselves. Those who comment just to get you to visit them. Those people are usually all about the hits. Sometimes it’s just to get more comments, but usually they just want that hit counter to go higher. (So if you see a hit counter near the top, you know that’s what they are most proud of.) Blogging is all about being social though. It’s about interacting. And hits don’t add up to interacting. Those who comment or follow just to get you to feature them. Again, blogging is social media. You need a relationship with a blogger before you can ask for a feature. Even with book bloggers, you should be following the site and commenting sometimes before asking for a review or feature. Someone who follows and then immediately asks for a feature isn’t interested in a relationship. They just want a quick and easy way to hock themselves and their stuff. Those who comment just to get a rise out of you. These people leech the joy out of blogging. They feed on negative energy and get a kick out of starting something bad. Those are the people we just need to ignore. Been visited by any of these leeches lately? 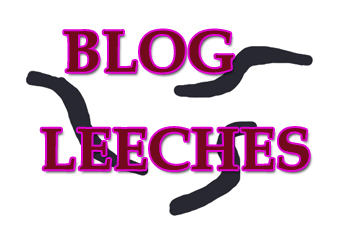 Ever guilty of being a leech? 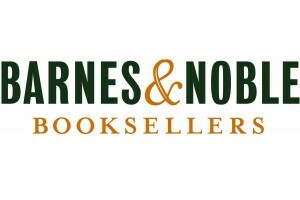 "In the past 17 months B&N had announced the opening of a single store, and closed at least a dozen. B&N said they are considering smaller stores, but what they're actually doing is shuttering stores right and left. And that is the real story here, not that a "book retailer considers new store prototype". Actions speak louder than words, which is why you should look at what someone is doing rather than what they are saying. Never mind what B&N says in interviews; their real plan is to cut unprofitable stores. 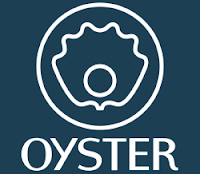 They accidentally revealed that plan in January 2013, and have been implementing it ever since." And on the heels of that news - The Digital Reader reports that B&N revenues are down in the last quarter, even as losses shrink. Not good! "Kinokuniya, the largest bookstore chain in Japan, has announced that it will snap up 90% of initial print run of Haruki Murakami’s latest title to sell at brick-and-mortar stores and make sure that customers who want to purchase the book will have to go to an actual physical bookstore. It is a move largely seen as a way to stall purchases through Amazon." 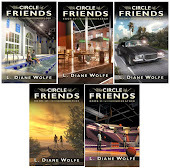 Thank you to everyone who commented on my post at The Insecure Writer’s Support Group last week, EPub Formatting and Beyond. Does that news about B&N surprise you? What do you think of Kinokuniya's attempt? 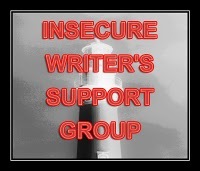 I’m at The Insecure Writer’s Support Group today with EPub Formatting and Beyond. Don’t forget our IWSG Anthology Contest is open to members until November 1, 2015. 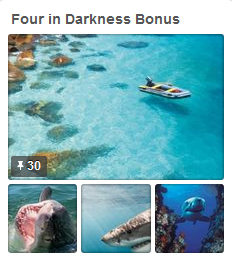 I took the month of August off to work on the final story in my Four in Darkness manuscript. Naturally, August turned out to be really busy with more parties and bridal showers and events than you could shake a stick at. However, I did manage to write a ton and the story is almost done. In the middle of this, another story I’d outlined ages ago called to me. I realized it would be a really unique addition to my paranormal romance collection. I even made a Pinterest Board for it. So, this manuscript might end up being Five in Darkness! The big news is today marks four years since the IWSG began. The admins have put together something great to celebrate the occasion.